Bride's bouquet. How should it be? As it should be combined with a wedding dress, make-up the bride and her external appearance? Should it be big, small, round, cascade? 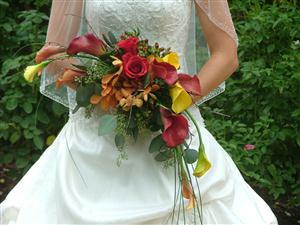 What flowers are best used in a wedding bouquet. Such questions are almost all married couples, before they make their choice. Modern wedding floristry offers a huge variety of solutions: from classical performance to new-fangled trend. 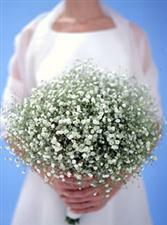 After all, the bride's bouquet - is not just an additional attribute. 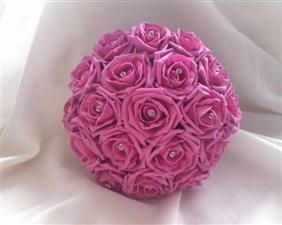 It is important to understand and grasp all the nuances and try to consider and pass them on making a wedding bouquet. Florists our salon of all varieties will help you make the right choices, to choose appropriate colors, what colors are best advised to use it. 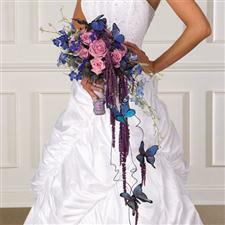 We will make sure that the bride's bouquet for your wedding celebration the most in tune with the style of the ceremony. Advise as to draw attention to what should be the boutonniere for the groom. 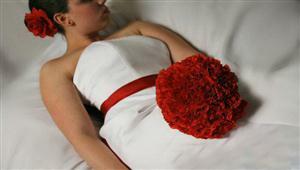 It should overlap with the wedding bouquet, send a mood and style, what would you like to see it. 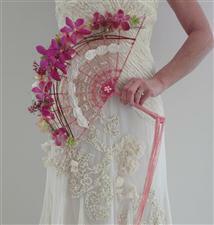 Charming, air bouquet created only from jipsofilla. The bouquet can be executed both on портбукетнице, and without it (according to your desire). 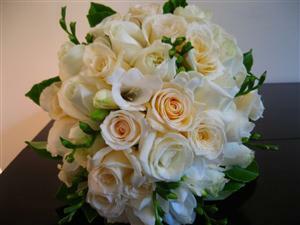 White bouquet for the lovely bride. 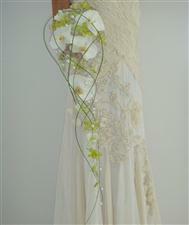 A white dress, a white veil and as touch-up a magnificent bouquet. Gentle aroma frezia gives only additional charm to this bouquet. Fine bouquet from pink roses decorated by pearls. A bouquet perfection without excesses. Bouquet imagination. It will be remembered to all visitors, as well as the bride by the beauty and originality. A magnificent combination of a delphinium to a gentle rose and on contrast prickly eringium. Unusual, stylish bouquet for the courageous girl not got used to live stereotypes. Fan made completely manually with fine flower addition. 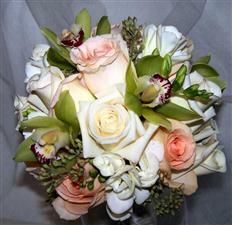 An exclusive wedding bouquet for a magnificent wedding celebration. The lace is made of a decorative delay in beads completely manually. Flowers are laconically entered In it falaenopsis and wild orchids. The refined, stylish bouquet. 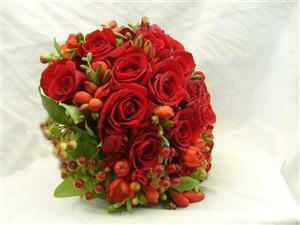 Magnificent bouquet from roses in a combination with fragrant frezia and small berries hipericum. Classical wedding bouquet. In a bouquet it is used two kinds of roses, fragrant friezia and decorative greens. Bouquet imagination. Noble callas, with a magnificent rose, a wood orchid and exotic decorative greens.